ECCS Alumna Theresa Stubhan becomes Yenching Scholar - eccspkus Webseite! 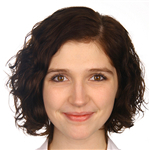 We are happy and proud to announce that our Alumna Theresa Stubhan from Tübingen University who attended ECCS in Summer 2014 and Winter 2014/15 has been selected to return to Peking University as a 2017 Yenching scholar. Congratulations!